Storm Shutters are an absolute necessity if you live in Treasure Coast. Hurricanes come far too often and cause far too much damage to take the risk of not properly protecting your windows. As high velocity winds whip debris, rocks and branches through the air, one could easily enter your home, taking out a window in the process. This damage is then compounded by the fact that now your home is even more vulnerable to water damage (with a gaping hole in the window). One of the primary reasons homeowners are hesitant about storm shutters is that they aren’t often very aesthetically pleasing. We take pride in our exterior design and having a big shutter attached to the outside of every window can take away from that. Luckily there are storm shutters specifically design to protect your windows from damage but that are also made to look like regular window dressings. Bahama shutters are a great option for hurricane protection as they provide total coverage of the window while also offering light control. Unlike roller or accordion shutters, Bahama shutters don’t stow away when not in use, but instead function like shutters normally would. They are hinged at the top of the window and prop up like an awning to provide shade. 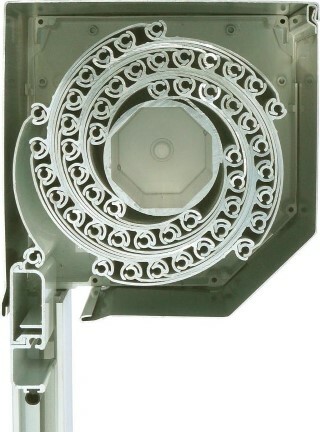 They are also louvered, giving you light control. They are made from many different materials and come in all colors, so you can match them to your décor easily. These beautiful exterior shutters are also extremely durable and capable of shielding your window from even the strongest winds. When a storm is imminent, you won’t need assistance to deploy Bahama Storm Shutters. Simply release the prop, close the louvers and fasten them to the house. Your Bahama shutters will then keep anything from forcibly entering your windows during even the worst storms. 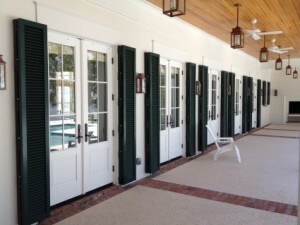 Another aesthetic option for Storm Shutters are the colonial shutters. These affix to the outside of the house and hinge on the outsides. When open hey offer an unobstructed view through the window. They also frame the window like a gorgeous set of traditional exterior shutters would. When each side is closed and the shutters are secured, however, they become an impenetrable shield, protecting your windows from harm. Like the Bahama shutters, colonial shutters are also made from many different materials; composite wood, aluminum, fiberglass and more. They come in a wide variety of styles and colors, so you can match the perfect storm shutters to your Treasure Coast home, enhancing the aesthetic design while protecting it. If you are looking for a stylish way to offer your home hurricane protection, look up a storm shutter retailer in the local area. 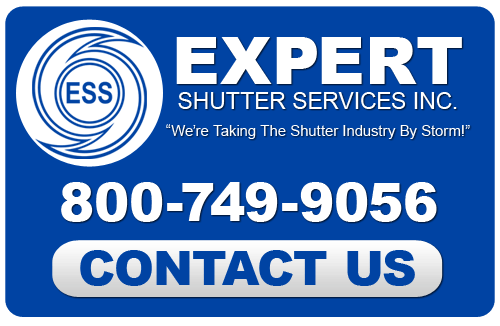 A quality hurricane shutter provider will offer an in-home estimate and show you a catalogue of styles and colors so you can determine which ones would work best.